Ellie, Summer and Jasmine are overjoyed when they visit Sugarsweet Bakery to watch the annual baking contest. But soon evil Queen Malice and her horrible Storm Sprites arrive, determined to spoil the fun. 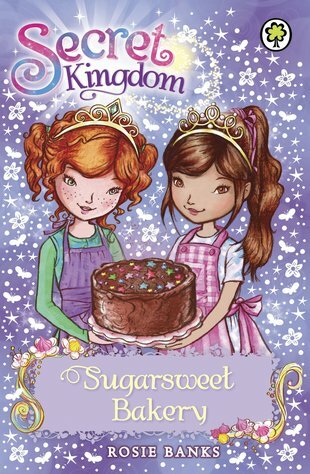 Can the girls find a way to save the baking contest, and get hold of the silverspun sugar they need to cure King Merry? This book compared to my opinion is not outstanding for 10+ but it is good for 8 year olds. It is about 3 girls called Summer, Ellie, and Jasmine who has to win silverspun sugar to cure King Merry. Can they do it before the wicked Queen Malice and her Storm Sprites get it?